Company culture - Xiamen Golden Horse skates Ltd.
Golden Horse was founded in Taiwan in 1969 and came to the beautiful city – Xiamen with the tide of reform and opening in 1991. For almost 5 decades since its foundation, Golden Horse has been taking strict quality control based on the motto that quality is power. We guide our business with customers’ needs and strive to create maximum values for our customers. We have been innovating, with more than 30 patents in hand. We have been through three different developing stages: brand strategy, diversified developing strategy and global branding strategy. Cornerstone – Quality is power! Development – Be innovative with sustained entrepreneurship; Details make a difference; Practice with perfectionists attitude. Service – Guide our business with customers’ needs to create maximum value for our customers! “Quality is power” is what keeps us from failing in the market. 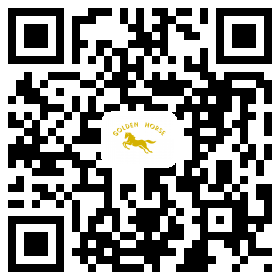 We, in Golden Horse enterprise, honor the product quality most, and we have been continuously improving our quality with strict standards to achieve perfection. With constant self-denial, we keep challenging ourselves to achieve the best. Our development concept - “Be innovative with sustained entrepreneurship; details make a difference; practice with perfectionist’s attitude” – has been driving Golden Horse walking in the front of our industry. We continuously innovate; our products change as the market demands; we run our business and encourage each of our employees to be entrepreneur-like, so that we have switched from passive management to self-management to create differential product values in the highly competitive market. We focus on every detail that our customer will experience and from users’ perspective, we never give up on every design detail and strive to achieve perfection on our products. Our service concept - “We guide our business with customers’ needs and strive to create maximum values for our customers” – is what drives us winning customer resources. Golden Horse orients our business by our customers’ needs, we work from customers’ perspective, and we keep challenging ourselves with regards to product innovation, to adapt ourselves to the development of the times. What our customers ask is what drives us to create and innovate, turning the impossible into the possible. We do our business with entrepreneurship.